Yichang, located in the boundary between middle reaches and the upper reaches of the Yangtze River, is the starting/ending point of Yangtze River Cruise. 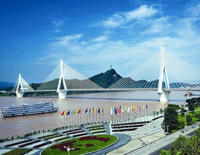 Therefore, making a Yangtze Cruise Tour from Yichang is natural and pleasant. 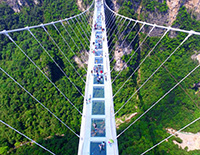 Besides the Three Gorges & Three Gorges Dam, there are some other must-see Yichang attractions. Yichang Museum the window to let you know more about this city and the over 30,000 pieces cultural relics will dazzle your eyes. The Sanyou Cave is quite amazing for the unique Yangtze cave scenery. Our private and customizable services await you all the time. 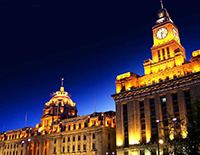 Choose your ideal Yichang tours and time to go, just now! Features: Explore must-see Yichang attractions: Yichang Museum, Chinese Sturgeon Museum and Sanyou Cave and get a better understanding of Yichang. You can cover this one-day tour before your Yangtze River cruise starts. 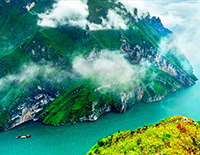 Features: The 5 days of Yangtze River Cruise begins in Yichang and ends in Chongqing. During the way, you can have an excursion to Three Gorges Dam Site to find the big majestic dam, also visit Shennv Stream and Shibaozhai Pagoda along Three Gorges. It will be a relaxing way to see magnificent Yangtze River in comfort and style. 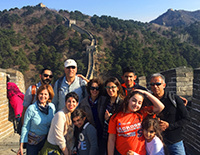 In 10 days, you’ll explore China’s stunning historical sites as well as breathtaking natural scenery to the fullest. 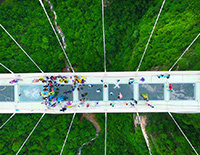 You won’t miss Terracotta Warriors, Ancient City Wall and Giant Wild Goose Pagoda in the ancient heart - Xian; catch the thrilling experience to walk on the highest glass bridge in the world; take relaxing upstream cruise from Yichang to Chongqing along Three Gorges. 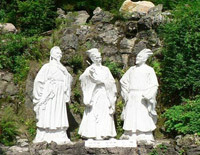 This trip will not only please your eyes, but also enrich your knowledge about China. 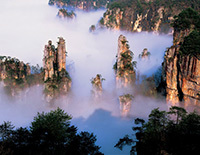 This is the real NATURE tour to Yangtze River and Zhangjiajie National Forest Park. In 6 days, take a relaxing 4-day cruise ship down from Chongqing to Yichang; spend 2 days getting into the surreal AVATAR world to appreciate the unique Karst Mountains and picturesque forests and experience the thrilling glass bridge in Zhangjiajie Grand Canyon. It will be a memorable trip! Explore the breathtaking natural scenery in Guilin, Yangtze River and Zhangjiajie National Forest Park. See the ancient and modern landmarks in Beijing and Shanghai that you won't miss the wonders like Terracotta Warriors, Great Wall of China, Forbidden City, Temple of Heaven, the Bund and more sites. All the best highlights of China are offered in 15 days. If you're ready to do more than just scratch the surface of China, you're ready for this 16-day China Tour. It'll show you the heart and soul of China. To explore imperial buildings in Beijing, stare down Terra-Cotta Soldiers in Xian before start the memorable Yangtze Cruise. 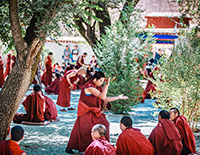 Uncover the mysteries of Tibet before getting intimate contact with the Giant Panda and engaging in the modern vibrancy of Shanghai.